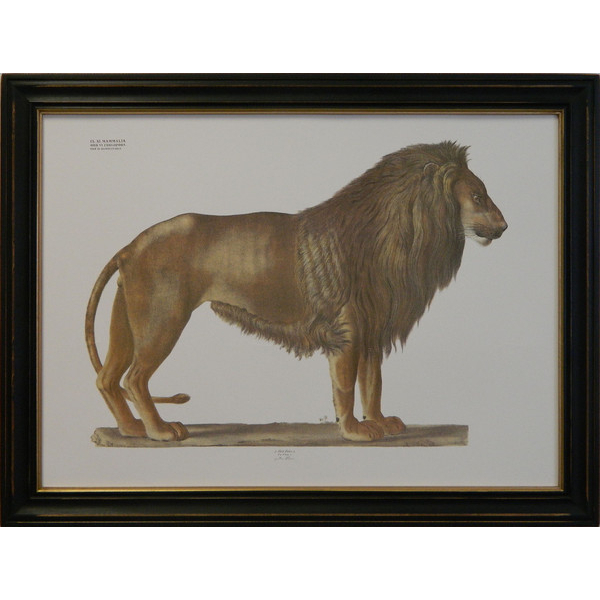 Lion Study by August Goldfuss 1822. Framed in Ant. Black with Gold Accent Hardwood.